The City of Manistee has been called the best-kept secret in Michigan. Located on the shores of Lake Michigan and situated in convenient proximity to Traverse City, Muskegon, and Grand Rapids, there is everything to love about life in Manistee. It is a community steeped in local history with friendly residents who are proud to call it home. Everyone who spends time in Manistee looks to enjoy its historic downtown, its beautiful beaches, numerous recreational opportunities and if they are lucky they will watch a great lake freighter as it navigates the river channel coming or leaving Manistee Lake to Lake Michigan traversing under two bascule bridges on its way. For this lovely little community with its unique characteristics, lively downtown, and rich history, City leaders were ready to enhance the city website to better reflect all the things that make Manistee special. In working with CivicPlus®, the city’s website design partner, it has reinvigorated its digital presence and enhanced its functionality to offer citizens the type of engagement opportunities they want and need. Before the City of Manistee partnered with CivicPlus, it worked with an individual external vendor to manage their website. According to Denise Blakeslee, City of Manistee Planning & Zoning Director, any content updates needed to be sent to the vendor. When the City made the decision to transition to CivicPlus and its CivicEngage® content management system (CMS) for web design and hosting, Blakeslee was able to manage website content updates herself and was no longer reliant upon a single external resource. 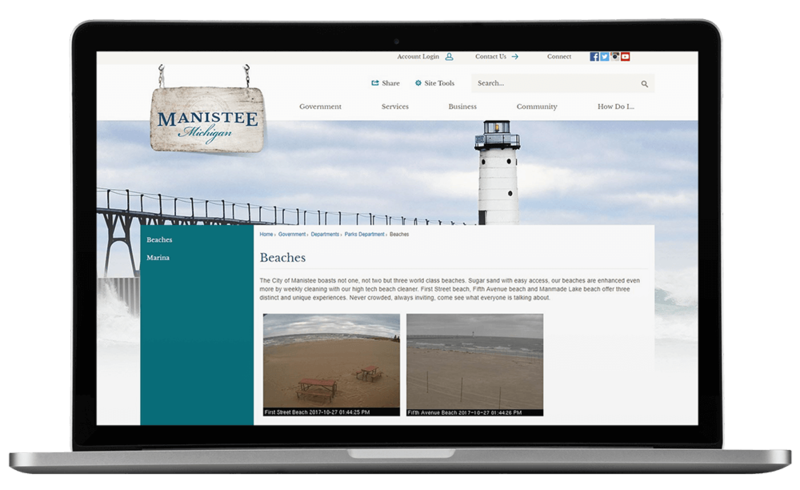 After several successful years with its CivicPlus website, the City of Manistee was ready for a redesign. “The website had gotten tired and it was time to update it and make it look fresh,” said Blakeslee. The City’s goals for its redesign surrounded enhancing the look and feel of its CivicEngage website, as well as streamlining its content and navigation to make it easy for citizens to quickly find the information they’re looking for. The content layout of the City’s previous website was fragmented, so to streamline navigation and improve the end user’s experience, the City focused on restructuring links and page content during the redesign to require users to navigate fewer pages to find what they were looking for. An important citizen communication tool in Manistee is its Citizen Information Guide, a PDF that Blakeslee created and maintains. It’s a comprehensive informational document that provides new and existing citizens with all the information they need about living life in Manistee, from home maintenance tips to information on city ordinances. 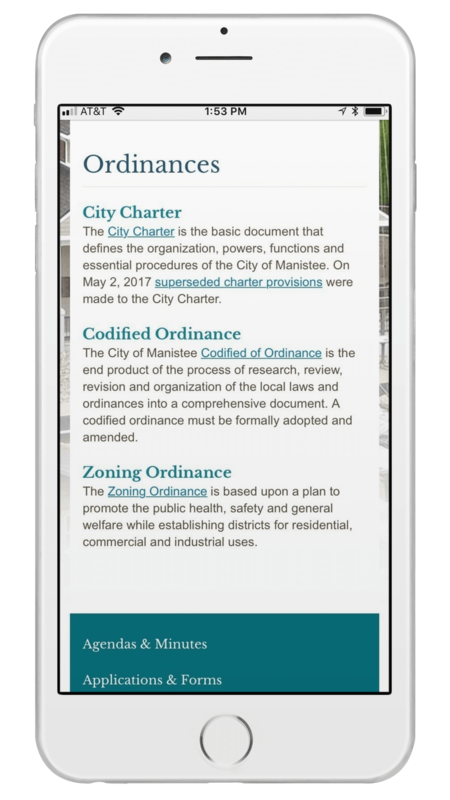 Today, the redesigned Manistee website gives citizens more functionality and more convenience, all in an easier to use and navigate format. The citizens of Manistee also enjoy the website’s engaging video functionality. The City’s redesigned website is also mobile-optimized, which is a convenience for both citizens and staff. According to Blakeslee, the citizens of Manistee are pleased with the latest iteration of their city’s digital presence. “All I get are wonderful comments and compliments through and through,” said Blakeslee. Manistee's citizens are not the only ones recognizing the quality of the city’s website. Manistee has been awarded Redevelopment Ready Communities (RRC) certification, a state certification that recognizes those communities that are thoroughly prepared when it comes to planning and zoning along with other key features that remove traditional barriers and promote opportunities for prospective private investors. The Michigan Economic Development Corporation (MEDC), which is the governing body of the RRC certification, regularly points to Manistee’s website as an example of a well-maintained, user-friendly website. As someone primarily responsible for maintaining her city’s website, Blakeslee relies on the support specialists at CivicPlus to quickly assist and act as an extension of her staff. 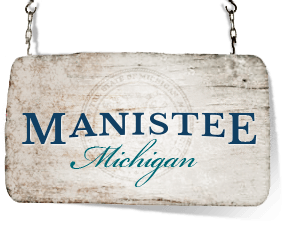 With the help of a user-friendly, well-maintained website the city of Manistee will not be a secret much longer. If your city website is ready for a transformational redesign, download our Ultimate Local Government Website Redesign eBook.